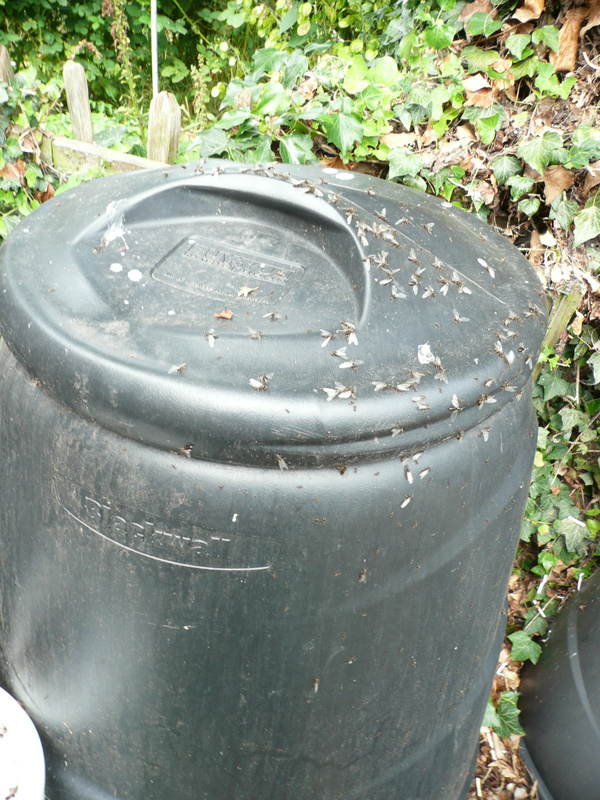 Two of the compost bins have suddenly become covered with flying ants. There are few ants inside the bin so I am note sure whether they came from a nest in the compost but I assume that they did. Alternatively they might be on holiday and dropped by to enjoy the sun on the bins.